Imagine coming home from a long exhausting day and walking into your own personal patio oasis. 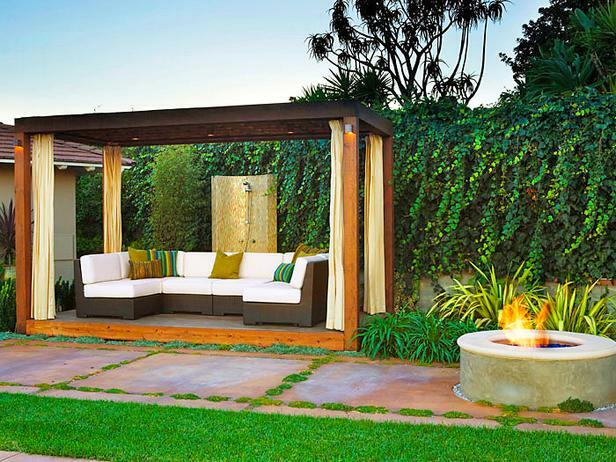 From the pergola and outdoor shower to the cozy gas fire pit, this patio takes you from smoldering days to cool summer nights. As the sun begins to set, shinning down on the soft lines of the wood, calming neutrals drawing you in. This is where you can unwind, step-back, and breathe. The design is open and inviting, perfect for a couple or even a family to gather and finish the day on an everlasting peaceful note.